On March 29, President Oh Se-jung recognized junior scholars in the fundamental fields at a ceremony held at the Hoam Faculty House. 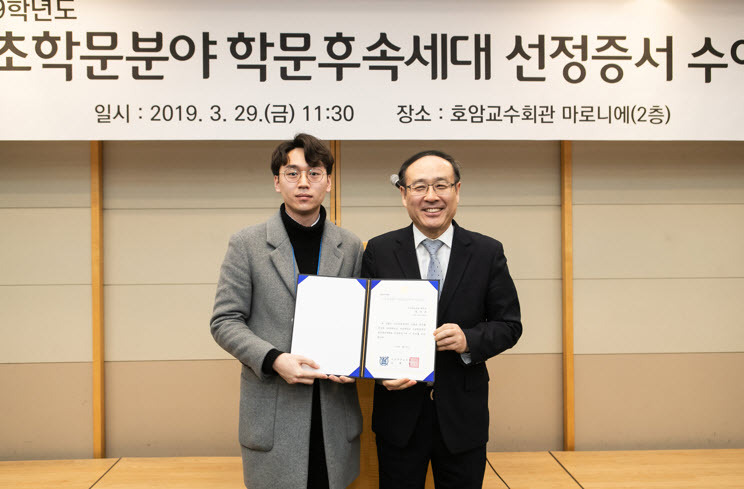 SNU has been supporting research in the fundamental fields of study since 2012, in an effort to fulfill its social responsibility to foster academic research in Korea. SNU allots 20-24 million won to Ph.D students and 10 million won for Masters students each year. The grants support recipients for up to three years. Including repeat recipients, 153 Ph.D students and 71 Masters students received grants this year. The selections were based on evaluations by the Fundamental Fields Promotion Committee and the Evaluation Board of Fundamental Studies. President Oh closed the ceremony with hopes that through collaboration with scholars in various fields, the researchers will broaden their knowledge and add depth to their respective areas of expertise.